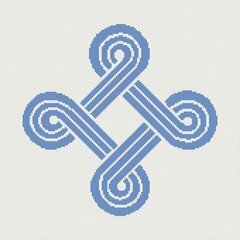 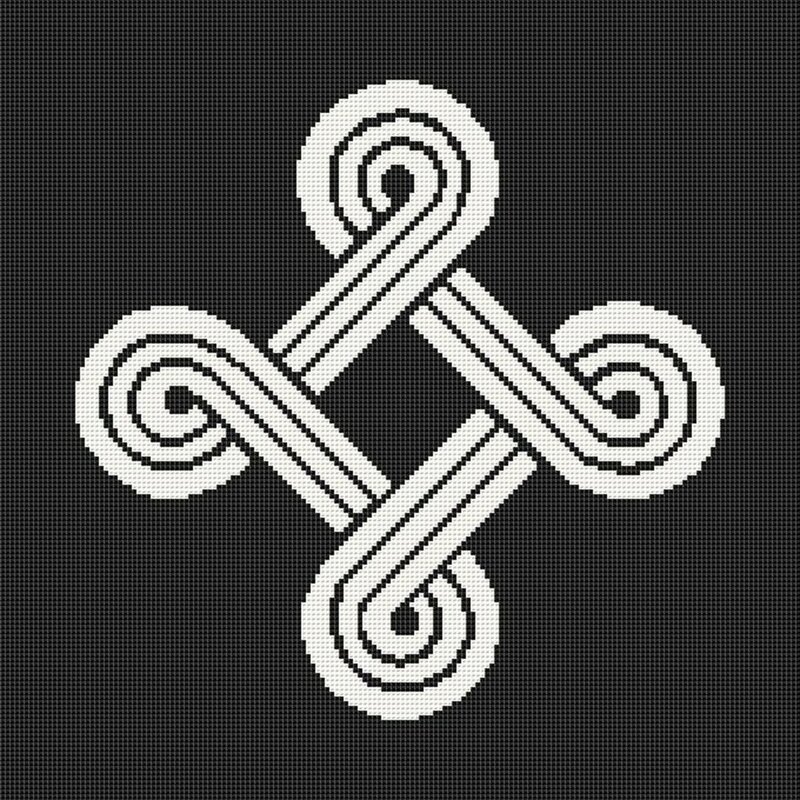 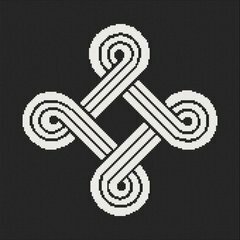 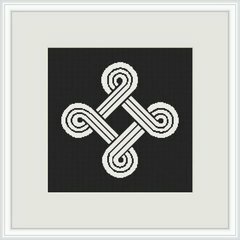 Counted cross stitch pattern of an ancient Norse or Finnish symbol commonly called the looped cross or St. John's cross (Janne's Cross in Finland). In Finland, the symbol was painted or carved on houses and barns, and domestic utensils such as tableware, to protect them and their owners from evil spirits and bad luck. The oldest surviving example is a pair of 1000-year-old (Finnish pre-Christian period) wooden skis decorated with the symbol. Fabric: 14 count, background is left unstitched so use the fabric color of your choice as your background color. Design area for 14 count: 9.86" x 9.71"
Colors: 1, the chart shows it in black, but you can use any color you like to fit your decor.